316 pages; 2008. $24.95 + P&P. 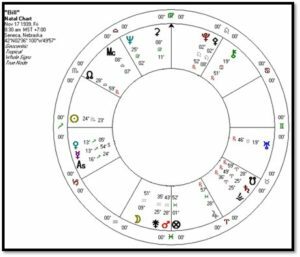 Seldom do we see a book-length work that shows how to bring together traditional and modern natal astrology, chart analysis and the nuts and bolts of an astrology consultation session. 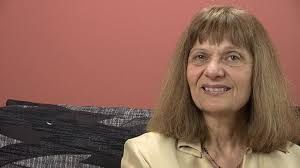 Demetra George, a well-known American astrologer and author of Asteroid Goddesses and co-author of Astrology for Yourself, published Astrology and the Authentic Self a few years ago. This book is worthy of close study and I am glad I read it, although it will not be for everybody. 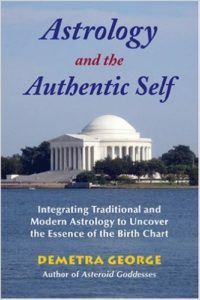 Like Tracy Marks’ Art of Chart Interpretation, Ms. George’s book gives a step-by-step procedure to break down a chart into its significant components; like Part Three of William Lilly’s Christian Astrology, it demonstrates its procedure through an analysis of one person’s astrological chart. The Table of Contents lets us know much about her astrological preferences. Using the metaphor of constructing a building, the foundation begins with short descriptions of signs, planets, and houses and then takes on the criteria for planetary assessment. She also introduces us to a natal chart belonging to “Bill”. The frame of the house is the material that relates to the general life purpose of the native; for that she gives ways to understand and apply the placement of Ascendant, Sun, and Moon in a natal chart. In this section she also looks at transits and progressions. George follows by building the structure. She begins with other conditions that arise from the placements of Sun and Moon – lunation phases, the nodes, and eclipses, and the Lot of Fortune. She follows up with asteroids, aspect patterns, relationship and vocation analysis, and the use of profections and solar returns. The final section departs from the preceding material and discusses client issues: roles and boundaries, using myth as a healing tool, and, at the very end, transforming difficult chart and life conditions into something beneficial. It may have been helpful to bring some of this material a bit earlier in the book or even to have begun with it: this section is has a warmth and sensitivity somewhat lacking in the first chapters of her book. There are some miscues that suggest that the book was put together in a hurry or could have been better edited. Late in the book she mentions a planet being in its own bounds (also known as “terms”) without introducing the concept previously; the same occurred when discussing a planet being in its “joy” in a particular house. Her instructions for calculating a yearly profection are confusing. The book’s glossary is okay but an index would have been far more helpful. Because Demetra George’s book is about one astrologer’s choice of astrological tools and their applications, her book raises another important issue. Are different choices that astrologers make similar to the differences in technique and personal style among artists? They are embedded in personal temperament and background as well as current practice, and in that way they are like artists. Not all astrological techniques and procedures are equal, however: we owe it to ourselves (and our clients and students) to clarify and improve them and engaging in dialogue with other astrologers is a good way to help that process. George’s book invites this kind of dialogue between astrologers. Much of the value of Astrology and the Authentic Self is that it raises some important concepts that merit close examination. Her combining of traditional and modern astrological attitudes and indicators, and the disclosure of life purpose by the astrological chart are important matters. Demetra George takes her traditional astrology from Hellenistic sources and commentary; her modern astrological technique seems influenced by Dane Rudhyar’s work on the lunation cycle, Steven Arroyo’s use of the four elements, and her own previous work with asteroids. Combining traditional and modern astrology is by no means a universally accepted procedure. Some traditional astrologers adhere to an original form as best they can. Their interpretations have an ancient or medieval feel to them and you will never see an outer planet or aspect configuration anywhere. This is like modern Vedic astrologers, most of whom tend not to use modern features in their analyses or interpretation: you will not find Vedic techniques used with a tropical zodiac or Placidus houses. My own Astrological Roots: The Hellenistic Legacy (2007) stays with Hellenistic principles and techniques, illustrating ancient methods with modern charts but using a modern style of interpretations. Demetra George’s book stands out because she writes about this in a systematic way. This is a daring project, for one can criticize her use of ancient astrology, modern astrology, or her ways of bringing them together. It is especially daring because traditional astrologers are notoriously hard to please and because some modern astrologers look down upon traditional astrology’s methods. From the beginning Demetra George makes a sharp distinction between the goals of modern and ancient astrologers. While modern astrologers use the birth chart as a mirror of the psyche and look toward delineating psychological issues and promoting psychological healing, ancient astrologers give a colder analysis of a person’s capabilities and limitations. In her discussion of relationships George most vividly shows this distinction. Her presentation of traditional astrology is similar to parallel passages from Lilly’s Christian Astrology and many other sources: is the native capable of having a successful marriage? What impediments would he or she face, from herself or her partner? A modern approach would look at issues of sexual attraction and expression, one’s aspirations for a marriage or significant relationship, and areas of projection within a relationship. A closer examination of ancient and modern astrology, however, narrows the distinction between ancient and modern astrology. There are features of ancient astrology that are psychological, even humanistic. She also casts modern astrology in exclusively psychological and archetypal terms that do not acknowledge other features of modern astrology. I have other concerns about her presentation of traditional astrology. Her criteria for assessing the Lot of Fortune mention a problem of the Lot being under the Sun’s beams. She also asserts that if a planet is within 15 of the Sun and considered “under the beams”, this planet influences the Sun – for example, Mercury under the beams (much of the time) would make the Sun more Mercurial. Both doctrines strike me as odd and I would have loved to see specific sources in the ancient literature or an accounting of their origins. All this traditional material coexists with very modern features. To some astrologers her syncretism will seem like trying to belong to two tribes at once; to others it’s a worthy first step toward integrating traditional and modern astrology. It brings up the issue of how an astrologer develops his or her craft. We will return to this topic later. Traditional astrology excels in assessing planetary strength and George begins the book by giving specific criteria for assessment. Most modern astrologers tend to confine themselves to a few criteria of assessing planets, namely essential dignity or debility and house position. However, ancient astrologers may factor in other categories of dignity, planetary sect and its derivatives, house joy, orientality, the malefic or benefic nature of an aspecting planet, the nature of a house a planet is inhabiting, and whether a planet is visible or under the Sun’s beams. How does the astrologer handle all this information? A planet may be dignified and in sect but be in a difficult house and retrograde, or in fall but in the powerful Tenth House. Many a student of traditional astrology has become bewildered trying to reconcile this conflicting information. Ms. George differentiates between these many factors, and her approach is likely influenced by Robert Schmidt and Project Hindsight. Planetary sect indicates whether or not a planet has the authority to promote its agenda; a planet in its own domicile has command of its own resources and in detriment must rely on its dispositor for resources; an exalted planet has high honor and one in fall is not respected; if a planet is in an angular house it can focus on its intentions and in a cadent house is unfocused. A planet in a “good” house (aspecting the sign of the Ascendant) can conduct its business profitably, and in a bad house the opposite. A faster planet is a stronger one, although a planet is powerful within seven days of heliacally rising or setting or making a station (this seems contradictory since a planet moving toward or from a station moves slowly and is therefore weakened). These are helpful distinctions although they may not represent the diversity of the Hellenistic tradition. Unfortunately George does not pursue them throughout her book as strongly as she might have. Greater application throughout the book may have made her overall presentation more compelling. In case you are wondering: George says little about the modern planets Uranus, Neptune, and Pluto, although her treatment of them is similar to many astrologers who practice traditional and modern astrology together. The modern planets do not govern signs – ever – and their presence in houses is not a big deal. They come into play as they aspect the visible planets and are conjunct important points like the Ascendant and Midheaven. And, of course, their transits are major predictive indicators. Most traditional astrologers appear to use these guidelines. In ancient astrology there is a bewildering variety of words that we all lump together as “aspect.” Aspect terminology divides these words into two groups: those that entail testifying and witnessing, and those that are about looking and seeing. Schmidt’s belief – that I still classify as conjecture – is that the first group relates to sign-to-sign relationships between planets, and the second group to relationships within 3 degrees (13 for the Moon). According to this model, planets that are in this second kind of aspect, from degree-to-degree, have a direct influence on each other. George says at the outset that her depiction of aspects is simplified from the Hellenistic tradition, and indeed she does not consider applying or separating, direction of aspect, or phase relationship between two planets in aspect. To become more familiar with these different concepts, I suggest you purchase the Delphic Oracle astrology software developed by Curt Manwaring. Yet it is unclear from Schmidt’s difficult explanations or Manwaring’s program how you would use these criteria in practice. Even the simplified procedure that George depicts feels like a work in progress. After discussing the different modes of aspects, she then says that she will use sign-to-sign aspects but they are stronger as they are closer – this is a modified version of normal modern practice. She then drops the distinction between “testifying” and “seeing” aspects for the remainder of the book. This is, as far as I know, uncharted territory, and I would have liked to have seen a few reconnaissance patrols. A planet is “bonified” by having a trine or sextile from a benefic and is corrupted or maltreated if receiving a square or opposition from a malefic. This does not include the essential dignity or sect nature of the planets involved. If the ancient astrologers used reception as medieval astrologers did, these also would be important factors in analyzing aspect relationships. She muddies the waters in her later chapter on aspect configurations – grand trines and t-squares, etc. This feature of modern astrology differs strikingly from the traditional use of them to help judge one planet’s condition. In noting aspect configurations she also uses sign-to-sign aspects and includes the four major asteroids. This makes for too many possibilities, too much information. We now move toward the second issue I raised at the beginning: how does a birth chart disclose an ultimate purpose for the native? To what extent is a birth chart a blueprint for the best life for the individual? Does a natal chart have a teleological nature, disclosing what is one’s true calling and place during this lifetime? There are different ways of articulating the telos of a natal chart. According to Demetra George and many other astrologers, living in accord with one’s purpose is living an authentic and potentially fulfilling life; otherwise we are living out the expectations of others and will be unhappy. It is difficult to argue with this concept. There are many ways of thinking about how life purpose might manifest in a natal chart. Early in her book she provides a Platonic conceptualization: the celestial bodies are manifestations of the higher consciousness that animate a universe that is conscious and alive. Therefore the configurations of the stars at the moment of birth reflect a divine pattern of thought that initiates a life and marks the goal toward which it moves (p 12). 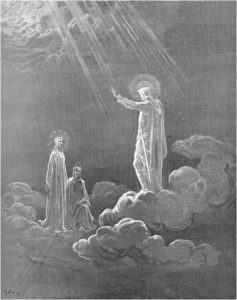 One finds the same thinking, within a Christian context, in Dante’s Divine Comedy – see the discussion at the end of Paradiso Canto Eight. Through the angelic planetary realms based on Divine Providence, different kinds of seeds are sown on Earth and we all have our own vocations and capabilities. Implied is that God’s plan for an individual can be seen through that person’s astrological chart. There are echoes of this in the writings of Dane Rudhyar when he writes about the meaning of a person’s life as seen in the birth chart. From his essay “The New Morality” that appears in Person Centered Astrology (Aurora, 1980), the natal chart is an individualized version of what the laws of Moses were when given by God to the Hebrew people. Ancient sources talk about the soul’s descent through the planetary spheres into earthly life, during which time the soul takes on characteristics of astrology’s planet. To an astrologer, one of them is especially picked out as your guide. This planet can be disclosed by the astrological chart and is analogous to the concept of daimon, a higher being that is personal to you and helps you lead a good and virtuous life. Almost at the end of her book George refers to a conversation with one of her own teachers, Buddhist Lama Tsering Everest. From Lama Tsering Everest’s perspective, the natal chart was a picture of one’s karmic situation for this lifetime with all its limitations and negative patterns, and is a portrait of our possibilities as enlightened beings (p. 283-284). This concept of astrology seems to integrate traditional and modern approaches; had the author presented this earlier in her book, what followed might have come across in a more unified way. Regardless of philosophical orientation, what features of a natal chart contribute to determining life purpose? In Astrology and the Authentic Self, Demetra George strongly emphasizes the sign and elements of the Ascendant and its ruler, the Sun, and the Moon. Suddenly we are in the realm modern sign-based astrology and its psychological emphasis on the elements. Using the nautical metaphor employed by Robert Schmidt and others, the Ascendant is the helm and the ruler of the Ascendant is the steersman. Their signs and elements tell us what drives the soul toward its destination. (Planets in the First House also have their hands on the wheel.) The Ascendant and ruler are not the goal but what puts the native’s motions in order. This corresponds to the modern understanding of the Ascendant as personality or appearance we put on for others. The Sun is the content of one’s life purpose as it displays itself through its sign and element and is given an area of life by its house position and applied to the house it rules. In her view, Sun is the intention of the soul as a reflection of the divine mind. (If the Ascendant ruler is the steersman the Sun is more the authority who casts the ship’s destination.) The Moon is how our bodies, senses, and rhythms of life actualize the purpose of the soul as expressed through the Sun. Let’s see her procedure in action. I want to introduce you to the chart of “Bill” who she uses as an example delineation. Examine the Ascendant and its ruler, the Sun, and the Moon, using the criteria mentioned above. Here is the chart for “Bill” that she uses. In parentheses are the astrological indications she uses that she discussed previously; they are not part of her text and I have supplied them for transparency. The core need that motivates the soul is the quest for a more expansive vision (Sagittarius rising) of family and home structures (Ascendant ruler is Jupiter in the Fourth House); the life purpose is expressed through the incorporation of spiritual teachings (Sun rules the Ninth House) that effect personal transformation and liberation (Sun placed in the Twelfth House), which is actualized (Moon) through disseminating information (Moon in the Third House) about innovative developments within community life (Moon in Aquarius). The cadent positions of the Sun and Moon suggest that the essential work of the life purpose occurs in the inner realm of thought and spiritual practice. For the astrologer seeking to begin professional practice, the clarity of these descriptions is very helpful, for it brings together traditional thinking and modern sign-based astrology to give the client some concrete information about life purpose. This description also seems high-minded and so is her client example. In the next paragraph the author tells us that the native has a background documenting New Age communes, produced a TV documentary on innovative community projects, and is now in the business of developing co-operative housing units. He has bought a house that he is developing into an intentional spiritual community. My own practice is somewhat different. Many of my clients talk with me about unemployment and aging parents, mortgages and marriages on the rocks, relocation and getting through graduate school. I can think of one client in his 50’s with a background in engineering and an interest in history. Today he works as an “associate” in a retail store. Yes, he is unhappy. I cannot tell this man he should be a physics professor or public radio commentator without making him even more unhappy. How can my client, who I call “Stan”, feel empowered in his life as it is right now? Fortunately Ms. George addresses some of these concerns in her last chapters. I would have preferred that Ms. George take on the more ordinary clients a bit earlier. Much more simply, it is the planet with the strongest position by house placement, essential dignity, and has few if any other difficulties like being retrograde or under the Sun’s beams. Finding the strongest planet is the origin of the “lord of the geniture” in William Lilly’s natal astrology, and in various renderings of the “almuten” of the chart by others. The ancient and medieval traditions themselves give much to look at and much that can be adapted to modern astrological chart interpretation and counseling. Is this a personal preference? To some extent it is. This brings up a large issue that also grows from Demetra George’s book with which I will conclude this review. Astrologers often bemoan the lack of unity among themselves, and professional astrologers differ sharply in their attitudes, techniques, and approaches to their clients. In that way they are more like artists having their individual styles, not like researchers or scientists attempting to come up with objective knowledge or procedure. In general, astrologers are not at all like scientists who look for the most unerring astrological factors, or like clinicians who compare “best practices” of treatment. Astrologers’ selections of methods and styles result from their temperament, educational, or professional backgrounds. A person who studied or is employed in the sciences may be more interested in scientific justifications for astrology and astrology as objective knowledge or statistical research. Others with a background in philosophy, Jungian psychology, or literature, will aim toward a more intuitive approach. Astrology and the Authentic Self selects traditional and modern techniques that reflect Demetra George’s temperament, educational and personal influences. Consulting styles also differ. On page 231 Ms. George suggests a distribution of time for a sixty-minute initial session. The first five minutes are for the client interview with five more minutes at the end. One would begin with the client’s natal and progressed lunar phase, then the following twenty-five minutes with Ascendant and ruler, Sun and the Moon. She’s concerned about sessions that are unfocused or taken over by the client and those would pose great difficulties for the new professional astrologer. I suspect that her proposed structure would strike many professional astrologers as odd or unworkable – but in different ways. Some astrologers may give an overview first, or discuss the natal chart to completion and hold off on predictive material. Some like me will use a client’s current concern to bring in natal and predictive indicators together. If George fears the unstructured session, I fear the one-sided presentation that may be interesting to me but not to my client. I like conversation. Does this mean that all astrological techniques and styles are equally worthy? What are the criteria for astrological factors to give good information or one consulting style being more skillful than another? Astrology itself, as an art of interpretation, is in the valley between art and science; astrologers themselves, however, are more like artists but also need to be like art critics, holding their friends’ work to a high standard of unified concept and skill in execution. Imagine that in the early 1800’s, the young composer Johannes Brahms came upon a secret treatise titled “How I Write Music” by a certain W. A. Mozart. This book gave a step-by-step procedure for writing really great music. Brahms immediately began writing music that sounded strikingly like that of Mozart. He became the toast of Vienna and elsewhere. However, Brahms soon found problems with the Mozart book and now wanted to do things differently. Soon he was writing brilliant music that departed from the Mozart model he had learned and used so well. 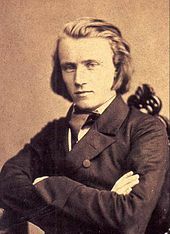 Some people thought that Brahms had become strange but others took a liking to this new music. But always a little Mozart appeared in his “independent” music, sometimes Brahms knew it was there, sometimes he did not. This seems to be how astrological influence works in our astrological world. How would it have been if, when I was first learning about traditional astrology, I had Demetra George’s book available to me? Having a similar background in modern astrology (minus the asteroids), I would have likely adopted her approach and tried to apply it systematically. After a time, however, I would have begun my own revisions once I found my rhythm: I would have added other categories of dignity, more lots and some fixed stars and de-emphasized elements and emphasized modes. I would have added some ancient predictive methods. And I would have been grateful for Demetra’s help along the way. For the astrologer already steeped in traditional and modern approaches to natal astrology, Astrology and the Authentic Self may inspire and improve your own synthesis. These responses from the newer and the more seasoned astrologer would not diminish Demetra George’s book but prove its usefulness.